QE3 is on track to be its largest bond-buying program yet, if it follows the path predicted by Wall Street. 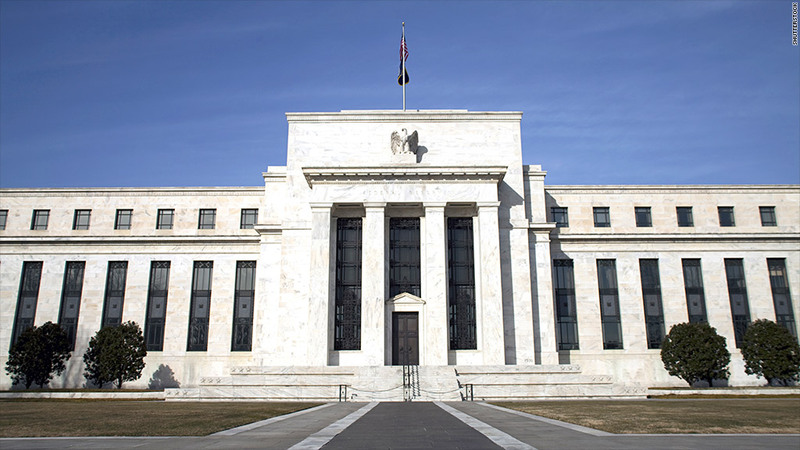 The Fed was expected to wind down its third round of quantitative easing, known as QE3, at the end of this year. But most predictions are now well into 2014, with some as far out as June. Economists largely believe the government shutdown and debt ceiling debate have forced the Fed's hand, creating a weaker economic outlook and muddying the data the central bank relies on to make decisions. Given this environment and the leadership transition as Ben Bernanke's term ends in January, the Fed will likely continue its current stimulus program at full blast -- buying $85 billion in bonds each month -- until at least March 2014. That means QE3 could total around $1.6 trillion, calculates Paul Ashworth of Capital Economics. That's more than either of its two predecessors. In contrast, QE1 totaled $1.5 trillion and the second round of stimulus added up to about $600 billion. "There is a danger that the Fed has missed its window of opportunity," Ashworth said in a note. "If it's waiting for some degree of fiscal certainty, this really could turn into QEternity." With bond purchases of this magnitude, the risks to financial stability are rising. Most of the money created by the Fed is gathering dust in bank reserves and has not been making its way out to Main Street. Since the Fed launched its latest bond-buying program in September 2012, bank reserves have increased by about $800 billion, whereas the currency circulating in the economy has increased by only $80 billion. Meanwhile, repeated rounds of quantitative easing have fueled stock gains to the point where some economists say prices may no longer be reasonable. "Asset prices are higher than they should be based on fundamentals. Companies are making profits, but they're not making profits off of higher sales -- they're making profits off of constraining costs and particularly labor," said Catherine Mann, a finance professor at Brandeis University and a former Fed economist. The longer QE continues, the more dramatic stocks could fall once the end of stimulus is in sight. Perhaps the most noticeable impact on Main Street has been on the real estate market. Amid the Fed's ongoing stimulus efforts, new homebuyers with pristine credit scores have been able to lock in 30-year mortgages at the lowest rates in history, and homeowners with existing mortgages were able to trim their monthly payments by refinancing. Once the Fed decides to slow and then end QE3, rates could quickly shoot up. Such was the situation this summer, when investors thought the central bank was ready to begin tapering its asset purchases in July or September. The average rate on a 30-year mortgage spiked from 3.35% the first week in May, to 4.5% just eight weeks later. When the Fed decided not to begin tapering in September, rates slowly started falling again. The same thing could happen in 2014, and the rise in rates could be even more dramatic, which could put the reins on the housing recovery. "Eventually the housing market is going to have to fly on its own in an environment of higher interest rates," said Zach Pandl, senior interest rates strategist at Columbia Management. "The Fed would like that process to be very gradual, but we learned earlier this year that they cannot guarantee a gradual rise in interest rates." There are global risks as well. Low interest rates in the U.S. had sent investors flocking to emerging markets for higher gains abroad. Continued stimulus could fuel this trend further, but once the Fed starts unwinding the stimulus, investors may be quick to pull their money out of these countries. This summer, the mere hint of a so-called "taper" was enough to spark fears of a financial crisis in places like India, Brazil and Indonesia. 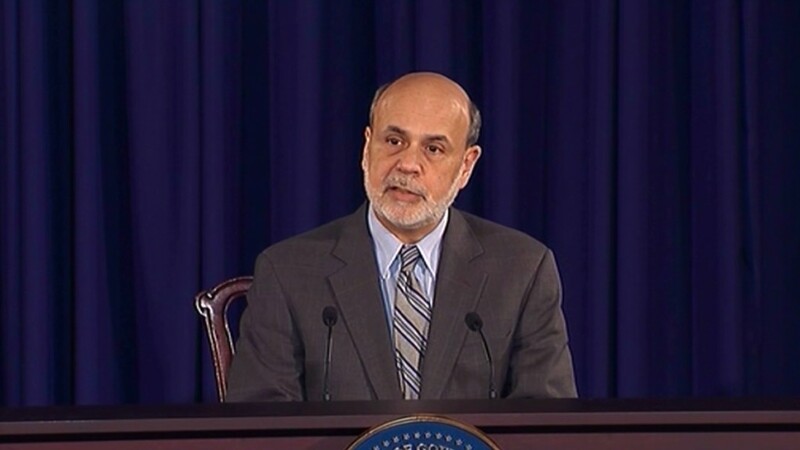 What will happen if stimulus is even larger, and the taper eventually does become a reality? The Fed meets this week to re-evaluate its policies, but little news is expected out of that meeting when it ends Wednesday.